If you are thinking about getting new furniture pieces, buffets and hutches in Wilmington are worthwhile investments. Not only do buffets and hutches in Wilmington enhance your home’s appeal, but they are also vastly practical. What Are Buffets and Hutches in Wilmington? Buffets and hutches in Wilmington are multipurpose pieces of furniture. They add a touch of elegance to your home and are extremely useful. Buffets and hutches in Wilmington are combined sets of shelves and cabinets, with the buffet normally on the lower portion and the hutch on top of it. A hutch is often seen in kitchens and dining rooms and is typically used to keep kitchenware. On the other hand, a buffet, also called a sideboard, usually consists of a few cabinets or drawers. Buffets and hutches in Wilmington may be considered as hybrid pieces of furniture. While many people originally used hutches chiefly as kitchen furniture, buffets and hutches in Wilmington can be used in almost every area in your house. Barstools & Dinettes is a local specialty furniture store that sells an assortment of furniture pieces in North Carolina. We are a family-owned business that has been operating since 1983. Some of our products include stools, free-standing bars, islands, and buffets and hutches. Wilmington residents are welcome to visit our showroom, which has hundreds of these items on display. We are known for providing superior-quality furniture, such as buffets and hutches. Wilmington customers can be sure that we work only with the leading manufacturers in the industry. 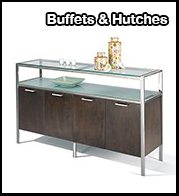 Among our most popular pieces are buffets and hutches. Wilmington locals adore our stylish and durable models that can be used for a variety of purposes. If you like rotating plates and utensils, buffets and hutches in Wilmington will be useful in storing your unused items. Trays, plates, and utensils can go in the drawers. You may choose buffets and hutches in Wilmington with glass chests so that you can display your beautiful pieces of china, such as delicate teacups. At Barstools & Dinettes, we have models of buffets and hutches in Wilmington that are perfect for this purpose. Check out our Country Corner Cabinet With Long Door or our Tarrytown Buffet and Hutch Combo! We agree that paperbacks are still better than digital copies. However, books easily accumulate dust. Buffets and hutches in Wilmington are great for keeping your books in order. Visit Barstools & Dinettes, and check out our buffets and hutches in Wilmington that are great for this purpose. We bet you that you will love our Two Shelf Country Corner Cabinet or the Three Shelf Country Corner Cabinet! If you prefer to easily spot your favorite titles, though, we suggest going for our Buffet and Hutch Model BUF3800MM HUT3800MM! The upper portion of buffets and hutches in Wilmington can be used as a TV stand, while the drawers are perfect for your collection of DVDs and games. We can totally picture our Buffet and Hutch: BUF3800OO HUT3875OO in your living room! Organize your cosmetics using buffets and hutches in Wilmington! It is not hard to imagine our Bunkhouse Buffet and Hutch Combo in your room where you can have your own makeup haven! 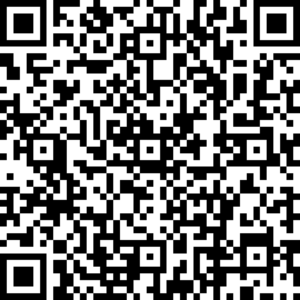 Call us today at 919-787-6680 or email us at info@zxk.74b.myftpupload.com. We suggest you come and visit so that you can see our buffets and hutches in Wilmington up close. Our friendly and adept staff will be happy to assist you. Barstools & Dinettes is located at 8620 Glenwood Ave., Raleigh, NC 27617.